This guide is available to download as a free PDF. Download How to Set Up Your XBMC Media Center now. Feel free to copy and share this with your friends and family. Discs on your shelves. Files on your computer. Sites around the web. You, the modern media consumer, don’t source your entertainment from just one place: you get it from a variety of different sources. XBMC is the ultimate media center software because it gives you a single interface for accessing all of your media from all of these different places. Even better: it does so using a remote-friendly interface, so with a few taps of your remote, you can browse your digital collection of music and videos, explore some of the most popular media sites on the web or check out live internet-based TV from around the world. Set up properly, XBMC can do just about anything you’d want your TV to be able to do online – from Hulu to your movie collection, from YouTube to live sports you’ve bought an online subscription for. It’s every bit as good as it sounds, but unfortunately, XBMC can also be a confusing piece of software to get started with. It’s an open source project, meaning that it’s completely free to use – you can even make changes to the source code, if you want. And an amazing number of contributors from around the world have built plugins for the project, meaning there’s seemingly no end to the tricks you can teach this software. Like many open source projects, XBMC can seem overwhelming to the beginner. You’ll try to add your media but some of it won’t show up. Maybe you’ll try to add extensions but won’t be able to find the cool ones you’ve heard about. You’ll try to customize how things look but won’t immediately find an easy way to do so. Don’t worry. In this guide, we’ll talk you through the process of setting up your XBMC for the first time. If you follow along you’ll have your entire media collection added, extensions for your favorite online media installed and various other tweaks set up to make everything work just as you’d expect. We can’t go over everything but we’ll go over the basics, and show you how to learn more. This manual is based on version 13.0 of XBMC, released in mid-2014 and codenamed “Gotham”. It’s the last release of the software before the name switched to Kodi. The information in this manual is largely relevant for all releases up to and including version 16, but there are minor differences. You have been warned! Why Is This Called XBMC? What, exactly, does XBMC stand for? 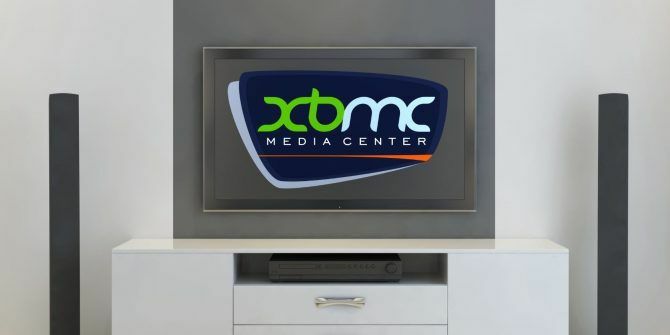 While officially XBMC doesn’t stand for anything in particular, you might be surprised to learn the four letters originally stood for XBox Media Center. Why the console-specific name? Because the software we call XBMC today was originally created in 2003 to be a media center on the original Xbox. Anyone willing to jailbreak their games console back then could install this software to watch their own video files – from the internal Xbox hard drive or from a network share – and even stream some video from the web. XBMC has since been released on every major platform: Windows, Mac, Linux, and even Apple TV (jailbreak required). There’s a dedicated version for the Raspberry Pi, perfect for those not wishing to spend a lot of money on an XBMC setup. And most recently, XBMC has been released for Android, meaning you can install this media center on a wide variety of smartphones and tablets (assuming they’re powerful enough and compatible, of course). XBMC is and always has been open-source software, meaning anyone can contribute code to the project or even release his or her own version of it. A company called Boxee once released software based on XBMC, and it was among the most popular media center programs out there for a couple of years. Another prominent XBMC derivative is Plex, which is less flexible but arguably easier to use than XBMC itself. I prefer XBMC to all of these projects for one reason: flexibility. If you’re willing to spend enough time configuring XBMC you’ll find a way to do just about anything you want. We couldn’t have written this manual (or even learned to set up XBMC) without the help of the official XBMC wiki. This online resource, maintained by the XBMC project itself, includes way more information about XBMC than we could ever hope to include in one manual. Check it out if you get stuck. Another resource worth looking into is the XBMC Forum. Here you’ll find a collection of tips and tricks and a place to ask support questions. You’ll even hear from plugin and skin developers working on new uses for an XBMC. As with any online community be sure to search the forum before asking a question, and be sure to read the rules if you want to participate in discussions. Before we begin let’s talk about what you need for an ideal XBMC experience. The first thing, of course, is some sort of system to run XBMC on. For best results, this device should hook up to your TV, or whatever display you want to use to watch your media on. Your device could be a regular computer running Windows, OS X, or Linux. Most modern TVs include a VGA as well as an HDMI port, so hooking up a computer to your television should not be difficult. XBMC doesn’t need the latest and greatest hardware to run, but obviously, a powerful graphics card can help with HD playback. Check out the specific hardware recommendations if you’re curious, but you’re probably fine. Your XBMC device could be a dedicated device, however, like the Raspberry Pi. This tiny computer comes with an Ethernet connection and an HDMI port, so it’s simple to hook up to your TV. HD video will not play well, of course, but for the price it’s hard to complain. Another thing you’re going to want is a remote, but we’ll get into that later. For now, let’s get XBMC set up on your device of choice. Start up XBMC and you’ll see the main screen of the program. Videos, Music, and Pictures will all be here as options, but none of your media will show up yet. We’ll configure the software to find your media collection later. First, let’s familiarize ourselves the interface and set up the weather properly. Click left until you get to Weather. Hit Enter and you’ll see the current forecast. From here you can pick different ways to look at the weather, from hourly forecasts to maps. Moving to the left to pull up a panel menu is common throughout the XBMC user interface, so remember how to do so. As you can see, it’s possible to add three different locations. Do so and you can switch between them from the panel menu whenever you want. Weather, of course, isn’t the most important reason to use XBMC. But in learning to set up the weather section of the app you’ve learned a little about the XBMC interface. Let’s learn some more. You now know that arrow keys work exactly as you’d expect them to, and that Enter opens whatever is currently highlighted on XBMC. If you’ve opened the weather interface you might be wondering how to get back. There are two ways. Backspace will take you one step back; Escape will take you all the way back to the main screen, regardless of where you are. You can learn this and a number of other keyboard shortcuts on the keyboard shortcuts page in the XBMC wiki, but for day-to-day usage, you really need a few more. From here you can mark a file as watched/unwatched or change the media information. It’s also how to access settings for any add-on, so remember it. The + and – keys control the in-program volume, useful if you need to make the XBMC media center louder than another program you’re using for some reason. While playing a video or song, space will both pause and unpause. You’ve got a handle on the controls now, right? Great, now let’s get you a remote so you never need to use them again. Keyboards are cool, but to really get the most out of XBMC you need a remote. Leaning back on the couch just isn’t as comfortable with a keyboard. Happily, there are various kinds of remotes that work well with XBMC, most of which are extremely affordable. Windows users should look into affordable MCE remotes, most of which come with IR receivers. They are plug and play, so typically all you’ll need to do to use them is hook up the receiver. You’ll quickly find the equivalents of the Enter, Backspace, and Space buttons. Mac users can simply use the remote that came with their device – it works with XBMC without the need for any configuration. Enjoy. Smartphone and tablet users don’t necessarily need a dedicated remote: you can find a software remote on Google Play if you have an Android device or the App Store if you have an Apple device. These remotes control XBMC over WiFi, so make sure your phone and your XBMC device are on the same network and you should be good to go. With them, you can browse your entire media collection right on your phone, or control XBMC the way you would with a regular remote. You can read more about remotes that work with XBMC on the XBMC wiki. You’ll even find links to remotes with built-in keyboards, perfect if you plan to use XBMC to search web video with some frequency. If none of these work out for you, get creative. There might be something around the house that will already work. I personally use the DVD remote from my old PS2 to control XBMC How To Use Your PlayStation 2 Devices With Your Computer How To Use Your PlayStation 2 Devices With Your Computer Read More , for example. If you’re willing to work at it I’m sure you could figure out a similar trick with something you already have. Now that we know our way around XBMC – at least, how to control it – let’s start adding some media. Because XBMC supports every major media format you can imagine (and a few that you can’t) it’s a safe bet XBMC can organize your existing collection in a way you’ll be able to quickly browse using your remote. The software even downloads art and metadata for you. There’s a bit of work before we can start, however: you need to make sure XBMC will be able to find your files. To begin, make sure your movies, TV shows, pictures, and music are all in folders specific to those media types. This will come in handy later. Then we need to make sure your video files are properly named. Unfortunately, XBMC can’t magically figure out which TV shows and movies your video files are supposed to represent. There’s a reason for this: most music files come with ID3 tags, which is a sort of metadata that tells media software the name of the artist, album, and track. There isn’t really an equivalent standard for videos – at least not one used consistently. Because of this XBMC needs you to carefully name your movies and TV shows in order to find them. It’s annoying, yes, but unless you do this you won’t be able to benefit from the amazing library functions of XBMC – from artwork to summaries to subtitles. So you need to rename your files. The format for a movie is simple, and identical to how films are listed on IMDB: the name of the movie followed by the year it was released, in brackets. So J.J. Abram’s 2009 reboot of the Star Trek series should be named Star Trek (2009).avi (assuming, of course, that the original file was a .avi file). The reason for this is simple: name the file Star Trek.avi and XBMC has no idea which of the dozen Star Trek movies the file may contain. It’s not hard to think of other examples where the name of a movie alone isn’t enough, so add the year to any files that don’t have them just to be sure. It’s also important to actually get the name of a given movie correct – XBMC cannot always guess by context, so any words missing from the title or misspellings will cause problems. Not sure what year a movie was released, or what the exact name of that movie is? Check IMDb. You can’t go wrong by copying names and years from that site. TV shows require similar precision, and then some: you need to format the season and episode numbers properly in addition to getting the name of the show correct. The name of the show is the easy part: again, just check IMDb. Most shows won’t require a year, but if a particular show shares a name with another one you’re going to need that (i.e., Battlestar Galactica 2003). Ensure that both the files themselves and the folders the files are in are named correctly, or your show might now show up in XBMC. Once you’ve done that it’s time to make sure the episode numbers are correct. If you ripped your TV shows from DVD you may have used a variety of different numbering systems to represent season and episode number. 1×02, for example, could mean Season 1 Episode 2 – but so could 102, 1.02 or “season1episode2”. For the sake of XBMC you should use the letter “S” followed by the two-digit season number (i.e., S01), immediately followed by the letter “E” and the two-digit episode number (i.e., E02) So, if you were adding an episode of Community, the correct name for the file would be: Community – S01E02 – Spanish 101.avi. Note that the name of the episode – Spanish 101 – is superfluous information as far as XBMC is concerned. Sure, it’s nice to have around when you’re manually browsing your files, but the name of the episode is not at all necessary for XBMC to find the file. Renaming TV episodes and movies so XBMC can understand them doesn’t need to be time-consuming: a program called FileBot can do it for you quickly. It will scan your videos, ask you what show they’re from and automatically rename them so XBMC will recognize them. Drag your folder full of episodes to FileBot and it will attempt to figure out the proper file names for specific episodes. Depending on how garbled your filenames are it may fail, but it’s a lot easier in most cases than manually renaming the files would be. Note that you’ll still need to properly rename your show’s folder after doing this, or XBMC might not find the files. Read more about FileBot here FileBot Makes Managing Your Movies, TV Shows and Other Media Files A Breeze FileBot Makes Managing Your Movies, TV Shows and Other Media Files A Breeze Quickly rename your video files, find subtitles and so much more. If you use your computer to watch TV shows, or any kind of video, you should really check out FileBot. For TV episodes in... Read More . It runs on Mac, Linux, and Windows computers using Java. Click that and you’ll be able to browse for any source, both on your computer and on your local network. Find the specific folder where you store your media by browsing. It’s also possible to manually add sources by typing a precise IP or website, but most users will never do this. As I mentioned earlier: it’s ideal that your local movies, TV shows, pictures and music all be in separate folders, each added as separate sources. This is because while adding your media sources you’ll need to specify what kind of media is enclosed inside the folder. Once you do XBMC will scan the folder and add your media. When it’s done you’ll find that XBMC downloaded posters, banners and background art (fan art) for every movie and show. There are even summaries for individual episodes. Repeat this process for all of your media folders – your music, your pictures, your TV shows, and your movies. XBMC should find just about anything. 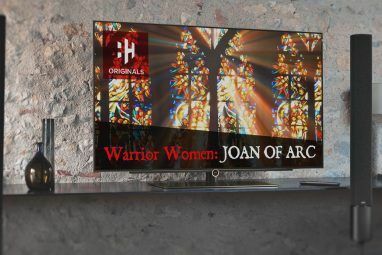 As mentioned earlier, TV shows and movies need to be properly named in order to be added to XBMC – check the previous chapter for details. Pictures will be browsable by folder; music by metadata. Oh, and don’t just add your entire hard drive as a source – this will lead to mistakes. Believe me: you do not want system files showing up as TV shows. It’s too frustrating. Note that it’s possible to add web sources as well as local sources. For example, you can add a podcast as a media source How To Add Your Podcast Feeds To Your XBMC Media Center How To Add Your Podcast Feeds To Your XBMC Media Center Get access to your favorite podcasts, video or audio, using XBMC. You don't need any plugin to listen to podcasts, but the method of doing so isn't entirely obvious and the official documentation isn't exactly... Read More , if you want to. Read more about adding sources on the XBMC wiki for more information. Once everything is added you can lean back and watch whatever episode of whatever show you want. Is a specific show causing you problems? It happens. You can check the previous section on naming your files, or you can attempt to manually add media from within XBMC. Head to the Video section of the home screen in XBMC, then click Files. Browse to the folder of the show that’s causing you problems, then press C. You’ll see a menu; click TV Show Information. XBMC will attempt to scan the folder. If it can’t find anything it will ask you for the name of the show. Type a single (unique-ish) word from the show’s title and you should eventually see a list of potential choices. Pick the correct show and all should be well. Once your TV shows and movies are added you’ll find two new items on the main screen of XBMC: Movies and TV Shows. Clicking these items will take you directly to your TV and Movie collection. 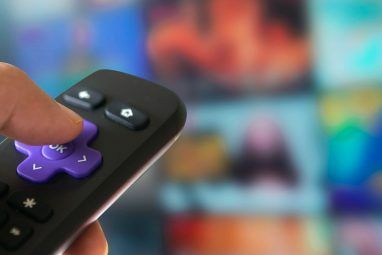 Lean back and enjoy: your local media is now browsable by remote. Don’t like how XBMC presents your media collection? The default theme for XBMC offers a variety of different ways to look through any list of media. Open the panel, then click View. This will change the way your media is presented. Some views focus on the posters, others focus on the background art. I like to find one that works for my TV shows and another that works for movies, but you have full power to set this however you like. The playback interface is straightforward. Press Enter and you’ll see the controls on the screen. Pause, play, or skip forward if you want. You can also download subtitles and change various settings, so be sure to explore. To get back to the menu, stop the video or press Escape. If you choose the later path the video will keep playing behind the user interface. OK, everything is added. Let’s enjoy your local content. Bored? Me too. Let’s add some internet stuff! Using XBMC to play your local media collection is great – fantastic, even. But it’s only one part of the XBMC experience. The other is being able to watch, listen to or just look at movies, music, and photos from around the web. This is possible thanks to add-ons, which help bring content from different sites directly to your TV. Let’s explore the add-ons offered by default, then check out some from third-party repos. Don’t worry: it will all make sense when we’re done. On the main screen of XBMC head to Settings, and from there to Add-Ons. You’ll be presented with a variety of different types of add-ons. These different types of add-ons all serve specific functions. Some change the services that XBMC uses to find information about your TV shows and movies, for example. Some let you record live TV – assuming you have a TV tuner card. Others let you tweak various things about XBMC. Feel free to explore, adding add-ons for sites and services you like. When you’re done, you can find your add-ons in the appropriate section. Video add-ons, for example, show up in the video section of XBMC; music add-ons show up under music. You get the idea. Install as many add-ons as you like. Can’t find one for sites you love? Keep reading; I’ll show you how to find more. Add-ons for XBMC are sorted into repos, which is short for repository. What you just explored were the default repos for XBMC – that is, the collection of add-ons XBMC points you to right after you install it. This repo is great, but it’s only the beginning in terms of the add-ons you can find for the platform. For example, the Hulu add-on, which gives you access to free episodes without a Hulu Plus subscription and everything else with one – is not offered in the default repo. Don’t worry: you can add it. It just so happens that the Hulu add-on lives in the Bluecop repo, which you can find a link to on the XBMC list of third-party repositories. To add the Bluecop repo you must first download the zip file for that repo. Then head to the XBMC Add-on screen in the settings and select “Install From Zip”. Browse to where you downloaded the ZIP file and install it. You will now find Bluecop’s plugins in the Get Add-Ons section. Don’t see any add-ons here? Press C while selecting the repo, and force it to refresh – everything should show up after that. You can now install the Hulu add-on for XBMC, and a whole lot more. Wondering what’s good? I’ve been using XBMC for a while, and I’ve discovered several great add-ons. Not everything, I’m sure, but a few gems. There’s a lot to explore, but here are a few of my favorites. YouTube: This one needs no introduction. If you follow your subscriptions religiously be sure to sign in using your account – two-step authentication is supported if you’ve enabled it. You can also explore your favorites or search to find the best videos on the web. For best results, type “Nyan Cat”. PBS Kids: The amount of free kids programming PBS offers on their website is staggering, and this add-on presents it all to you from within XBMC. Browse through this long enough and you’re bound to learn something your kids will enjoy. TED Talks: These inspiring talks are worth checking out, so why not install this add-on and spend an evening learning from your couch? Scroll through the latest talks and get inspired. Giant Bomb: If you like video games at all, this one is worth checking out. You’ll find trailers for upcoming games and playthroughs of games that are already out. An informal take on gaming and a great way to find out what’s worth buying. The Big Picture: Not everything needs to be about watching things. This add-on, which you’ll find under Pictures, lets you see amazing photography from around the world. If a major event occurred recently, and it was photogenic, you can be sure this app will show you amazing photography from it. Highly recommended. BBC iPlayer: The iPlayer add-on offers you complete access to the BBC’s online offerings. This means you can watch BBC channels live whenever you want. It also means you can browse the corporation’s television archive. Pluto.TV: Pluto.TV has more than 75 live channels, all of which you can watch for free. The channels include 24-hour news stations from CNBC, RT, and Sky News, comedy content from Cracked and The Onion, and a healthy dose of music, kids, and movie channels. If you enjoy discovering new music 8 Websites to Help You Discover New Music Genres 8 Websites to Help You Discover New Music Genres Broadening your musical horizons by discovering new or niche genres can be beneficial. With that in mind, here are several essential websites for discovering music you've never heard before. Read More , the SoundCloud add-on is a must have. Anyone can share their creations; you’ll find music from mainstream artists, small indie bands 7 Websites to Discover New Music by Indie Artists 7 Websites to Discover New Music by Indie Artists If mainstream music doesn't appeal, you should check out indie artists online. Here are seven websites to help you discover new music by indie artists from around the world. Read More , and wannabe pop stars. It even includes podcasts. PSVue: PlayStation Vue is a subscription service from Sony. Depending on the package you sign up for, you can enjoy prime time shows from the major networks, live sports, and premium movie channels. ABC Family: If you live in the United States, grab the ABC Family add-on. It doesn’t offer live TV, but it does boast an impressive back catalog of the some of the networks most-loved shows. Crunchyroll [No Longer Available]: Are you a fan of anime? Do you love Asian content generally? You need the Crunchyroll add-on. With 20 million users, it’s one of the top 10 streaming services in North America. You can join the premium plan for less than $5-per-month for even more content. ESPN 3: ESPN needs no introduction. If you have a cable subscription, you can use this unofficial-but-legal add-on to watch live American football, baseball, cricket, soccer, and basketball. Rom Collection Browser: And now for something completely different. This handy add-on, listed under Programs, can scan your collection of ROMs and download art, and add summaries for them – much the same way XBMC does for your movies and TV shows. It takes a while to set up, but once you do you’ll have a great interface for your ROM collection. If you’re an emulation fan The Best Nintendo 64 Emulators for Phones, PCs, and Browsers The Best Nintendo 64 Emulators for Phones, PCs, and Browsers The new Nintendo Switch has the gaming world buzzing. While you wait for the Switch to come to your living room, why not go revisit some of the best Nintendo 64 emulators! Read More this one is a must. The availability of plugins from other repos is dynamic and constantly changing. Furthermore, other repos are often the home of illegal content that can land you in trouble with the law What Are Kodi Boxes and Is It Legal to Own One? What Are Kodi Boxes and Is It Legal to Own One? In this article, not only do we explain what Kodi boxes are, but also offer you a definitive answer on their legality. Read More . Rather than recommending add-ons that could be out of date again within a few months, it’s better to do the research yourself. Since the closure of TVaddons.ag, the best place to find up-to-date information on third-party add-ons and repos is the Addons4Kodi subreddit. It has a thriving community that can point you in the direction of the content you’re looking for. Some plugins only work in particular countries – ABC Family only works in the USA; iPlayer, the UK. This has nothing to do with XBMC: the sites in question are simply blocked outside their target nations. There are ways around this, but it’s beyond the scope of this guide. Read this article about ways to access region-blocked video 2 Effective Ways to Access Region-Blocked Videos Without a VPN 2 Effective Ways to Access Region-Blocked Videos Without a VPN Internet users outside of the United States are blocked from accessing the wealth of streaming video and music content available to Americans. Even Americans are deprived of international services like BBC iPlayer. Faced with this,... Read More , however, and you should be up and running in no time. As with plugins, there are a wide variety of themes out there, so feel free to search if none of the default offerings work for you. Read about six cool XBMC themes here 6 Coolest Free Skins For Your XBMC Media Center 6 Coolest Free Skins For Your XBMC Media Center Over the years XBMC’s skins have evolved from being functional to beautiful and the latest release, codenamed “Eden”, adds even more polish. Downloading and installing these skins is all taken care of from within XBMC... Read More , if you want to learn a bit more. Personally, I’m in love with Aeon Nox, which I’ve written about earlier Aeon Nox 3.5: Beautiful And Customizable Theme For XBMC Aeon Nox 3.5: Beautiful And Customizable Theme For XBMC Set up your media center exactly the way you want it. Aeon Nox 3.5 is the most recent version of what is perhaps the best theme for XBMC, and it is a rare combination: beautiful... Read More . This theme is beautiful, but also highly configurable. Let’s go over setting it up briefly, so you can get an idea of how configurable these themes can be. Installing Aeon Nox is simple: you’ll find it in the main XBMC repo under Themes. Install it and the app will ask you if you want to use it; do so. Then head to Settings; you’ll find theme options at the bottom of the screen. There’s a lot of freedom here, so I’m not going to go over every single detail. Just know that, from here, you can add direct links to specific plugins right on the home page – perfect if there’s a particular add-on you use constantly. For me, it’s the NHL GameCenter app. You can also change the wallpaper behind every menu item. I set it to rotate my TV Shows behind TV Shows and my Movies behind my Movies, but you can also use your own personal photos if you want as well. It’s entirely up to you with this theme. I also love the Random Episodes widget. It does what it says – shows you random episodes – and is perfect when you’re not sure just what it is you want to watch. The main thing to remember is that when you install a new theme it’s very likely you can customize it, so check the System menu for theme-specific settings before you give up on one. Explore and enjoy. I could spend decades writing about the various tips and tricks out there for XBMC users, and perhaps someday I’ll do that. For now, however, I’m just going to outline a few key tips. Sound not working – help! This happens for quite a few people: the sound doesn’t work after a fresh install or stops working later. Don’t panic: you can fix this in seconds. Head to the Settings menu on from the main page, then find the Audio Input section. Scroll down and you’ll find the Audio output device option – change it until your sound works. If it doesn’t work, maybe you accidentally muted the app. To fix this use the plus and minus keys on your keyboard – as I said earlier, they adjust the volume. The files in here are the configuration for pretty much everything XBMC, so don’t mess around with stuff unless you know what you’re doing/are trying to learn what you’re doing. If you break things terribly you can always delete the folder to start from scratch. It’s a good thing I explained that, because the next tip kind of requires it. At the bottom of the main screen in XBMC is an RSS feed, letting you know the latest happenings in the XBMC world. Don’t care about that? Change the feed to something else. Head to the UserData folder (above) and edit the file called RssFeeds.xml. Replace the existing RSS feed with one of your own choosing. I chose NHL scores, but you can use whatever you want. If you’re an Apple user – that is, if you own a Mac or iOS device – you’re almost certainly familiar with AirPlay. The service allows you to use one device to play media from another device. It’s one of the key selling points of the Apple TV. Enable this and your device should show up as an AirPlay receiver in iTunes and software like it. If you like exploring videos on your laptop and watching them on your TV, good news: there’s a browser plugin for that. Read more about it here How To Instantly Send Any YouTube Video To Your TV, Using XBMC How To Instantly Send Any YouTube Video To Your TV, Using XBMC Send any YouTube video to your television, instantly. It's perfect for YouTube parties or anytime you want to comfortably watch a video from your couch. All you need to make living room dreams come true... Read More . If you’re a Chrome user, we have written an article about completely controlling XBMC from Chrome No Remote? No Problem. Use Chrome to Control Your XBMC Media Center No Remote? No Problem. Use Chrome to Control Your XBMC Media Center Use Chrome to completely control XBMC. Whether you want to browse and play your media or send a video you're watching on your laptop to your media center, a variety of extensions and tricks lets... Read More . Check it out, because there are more than a few good Chrome extensions for doing this. The most recent version of XBMC – 13.0, codenamed Gotham – offers integration with a variety of personal video recorder setups. This means you can watch live TV and browse your recordings, all from within the XBMC interface. I can’t test this myself – I don’t own a PVR – but the process consists of setting up the PVR software of your choice and configuring a compatible plugin for XBMC. This is a minor annoyance at best, but it came up for me so I thought I’d go over it. Your collection may contain instances of one movie taking up multiple files – for example, if you ripped your extended edition of The Two Towers, you likely ended up with two files. You could combine these files using video editing software but most people don’t bother. Anyway, if you’ve got movies like this in your digital collection you’re probably annoyed to see that XBMC added multiple “copies” of your movie – one for each part. The solution is simple, if not obvious. Put all parts of your movie in one folder, and name that folder the way you would otherwise name an individual video file (for example, The Lord of the Rings: The Two Towers (2002).avi). Then name the files in that folder the same name, followed by a dash (–), the letters cd and a number (i.e., The Lord of the Rings: The Two Towers (2002)-cd1.avi and The Lord of the Rings: The Two Towers (2002)-cd2.avi). Remove the previous instances of your movies from XBMC, then rescan. Your XBMC media will now recognize these multiple videos as a single movie and automatically play them back for you in the correct order. You probably won’t even notice they’re different files any more. You’ve now mastered the basics of XBMC. Your media is all at your fingertips, and you’re beginning to see the potential of add-ons. This is only the beginning, though. Keep exploring: you’ll find new ways to use XBMC and make it into the perfect XBMC media center for you. Enjoy. Explore more about: Kodi, Longform Guide, Media Center, Media Player, Media Streaming. Hi I have downloaded Kodi on my mobile. As I also have it on my fire stick. How ever I have the problem I have no text? Is this applicable to Canada? I search google chrome cast but not sure if it can download xbmc. ChromeCast cannot run XBMC, but it can do lost of other things. I am pretty technical but this sounds way too complicated for the end result. How about you put in Google Chromecast (5 minutes to setup), Install Real Player (10 minutes) to all your devices and computers and then you can watch everything XBMC shows you.